Pisces, we have a good news for you – 2017 will be an effective source of energy for you. Each month in your horoscope is like a unique stream of experience and inspiration. You can therefore expect that week after week you will slowly ascend into more harmonious spheres of life. The height gives you the necessary insight into problems and you can also rush into solving problems that will certainly not pass by. If you have experienced a disappointment in love, you can look forward to enjoying the feeling of happiness again. 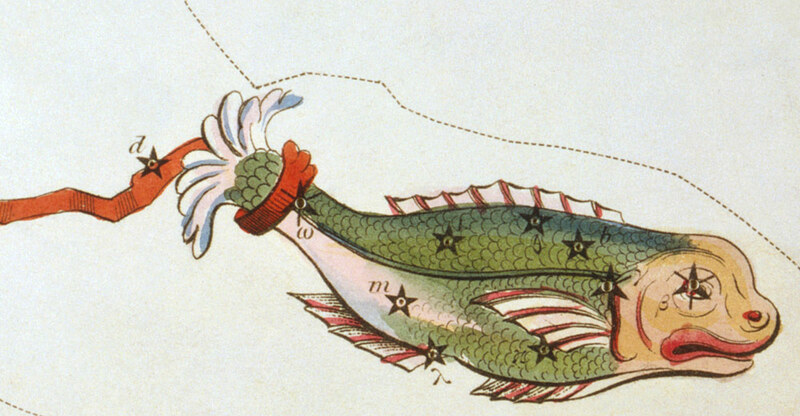 If your arms and legs (in case of Pisces rather imagine fins) are tired of work, you should know that the right balm for a weary body is the activity of your mind. Gold, silver and other riches of the world are pleasant, but more valuable is knowledge. The Pisces which will find an open chest full of gold coins inside a sunken ship may be unpleasantly surprised when the lid snaps (it will be enough to churn up the water that puts things in motion and you can easily become a prisoner of your own greed forever – similarly like when you find a luxury pen on the street and it revenges in an expectable way when the ink spills over your favorite clothes). The horoscope advises: focus primarily on yourself and your own abilities. Try to develop a “natural” talent in you in 2017 – like when you grind a knife at the “right” side, which is for slicing and cutting. The rest (happiness, success, sense of fulfilment ...) will finally arrive without your help! It's like when a baker who loves his craft begins to manufacture rolls. When he does his job honestly and with passion, it is apparent in the outcome of his job. The bread is usually amazingly tasty and fragrant. And the other way round, the one who just tries to sail through life and earn money at any price (a baker who bakes rolls from the cheapest ingredients and sell them at the highest price) does not reach happiness for a long time. If there are no essential problems in your love, it will be good not to waste energy on romantic affairs and rather intensely focus on your partner. According to the stars you have a great chance to cement your love in a rich and solid volume. In case of emergency a climbing rope can hold you better than a clothesline. Likewise, a strong partner bond will help you overcome annoying gaps that life inevitably brings. Generosity will be very important for luck in love in 2017. Pisces, in case you do not need every penny, give a valuable gift (jewellery, pen, watch, valuable coin, etc.) to your partner or to your best friend. It will be a permanent reminder of your relationship and an invisible mutual bond. The horoscope for 2017 predicts a bold bite that lies ahead. So, it depends largely on you, how you can digest it. Fearless and predatory Pisces who love challenges may already look forward to it, because boredom is certainly not in sight. Quiet and conservative Pisces should repeat the Ten Commandments (or other basic principles of your religion) to be able to act calmly and honestly, when the water around starts blurring. Anyway, do not be offended by a strict boss or bitter colleagues. Consider how your work is helping the world (even if you work in a common warehouse or as an assistant at a gas station – without you goods would be missing on the shelves and dirty windows of immense number of vehicles would certainly contribute to the worst statistics of car accidents).